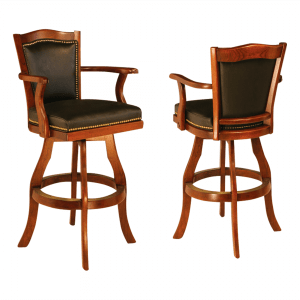 Primo Craft is both excited and pleased to be offering outstanding bar stools provided by a California company, IM David. 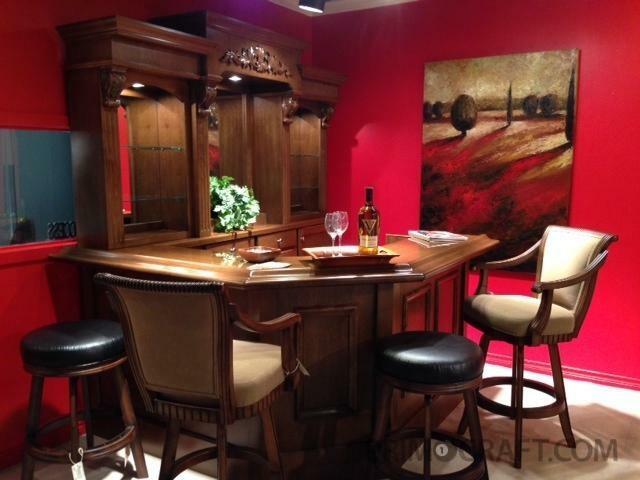 After you get your custom home bar installed, next you need a good bar stool—one that is comfortable, allowing for a good long sit while watching a game, having an interesting conversation, or a drink or two. The right bar stool invites us to pull up to the bar…and be part of the fun that’s happening. 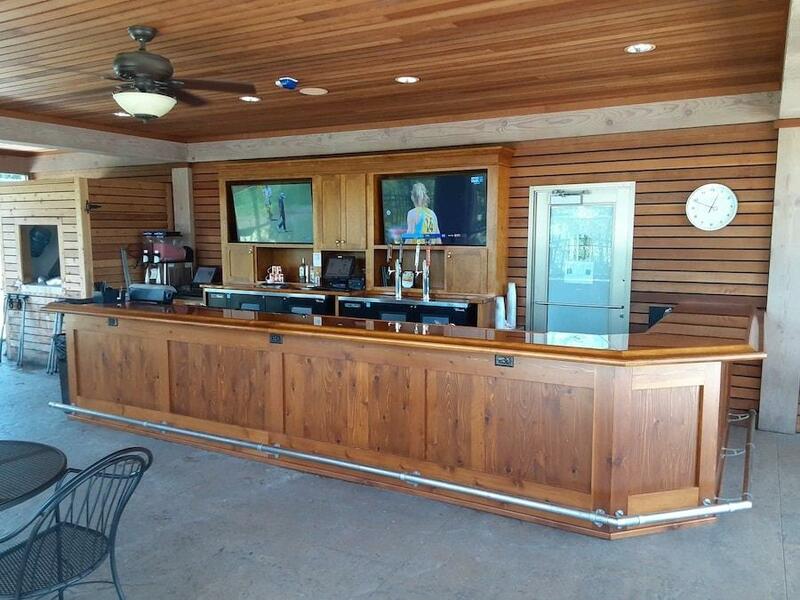 When the club decided to have Primo Craft custom make an outdoor bar for a seldom-used area, little did they know it would become so popular. The bar faces the busy pool and patio area, where the fun continues. 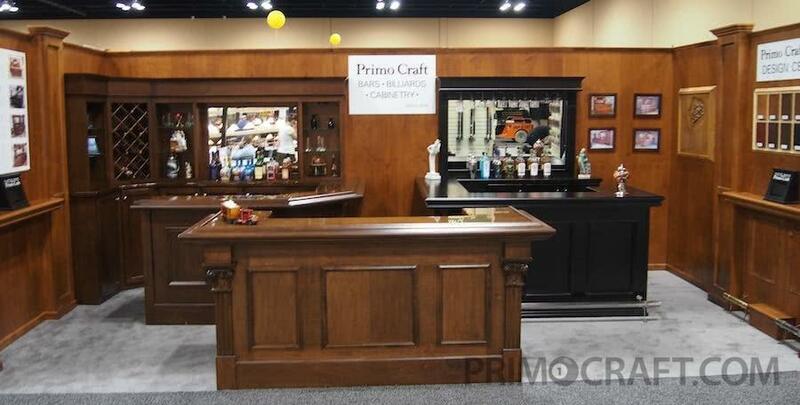 Primo Craft bars now are on display at Darafeev’s Luxury Furniture showroom in the World Trade Center, Dallas Texas. They will be selling our bars along with their barstools and game furniture. 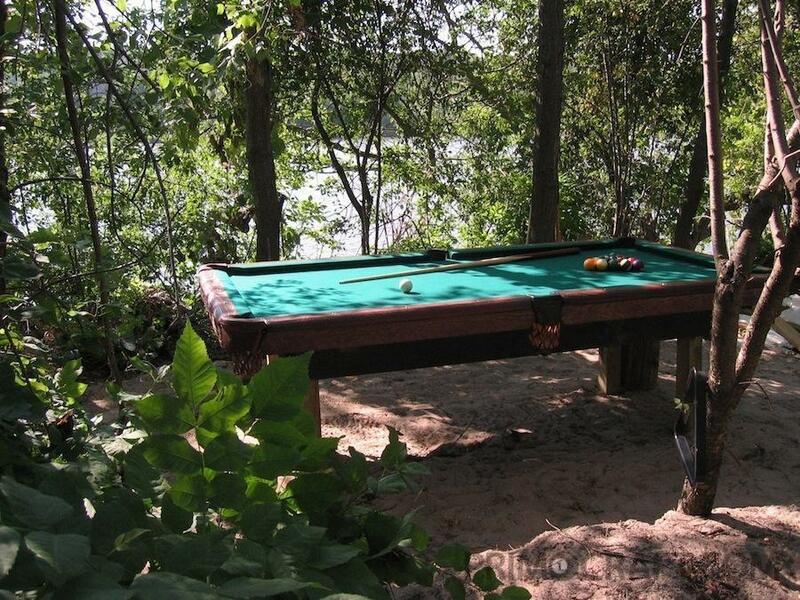 A client had a hidden island sanctuary on the Mississippi River where they wanted to also add a pool table. Primo Craft helped build and install this 8-foot pool table. The table sits on (4) 6 x 6 posts cemented into the sand. It’s obviously not "natural" to see a pool table in the woods so we sand blasted the rails and aprons for a weathered look. We think a Tiki Bar would look pretty good on this island. 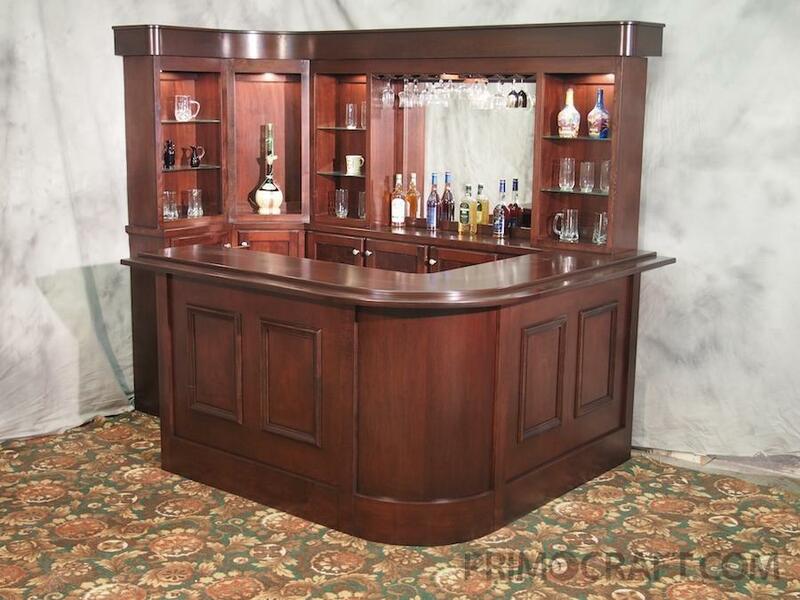 New Wood Home Bar "Indy Bar"
We have created a variation on a customer favorite. In order to create a more modern bar we took the Ivy League home bar and rounded the soffits and the front corner of the bar and top. 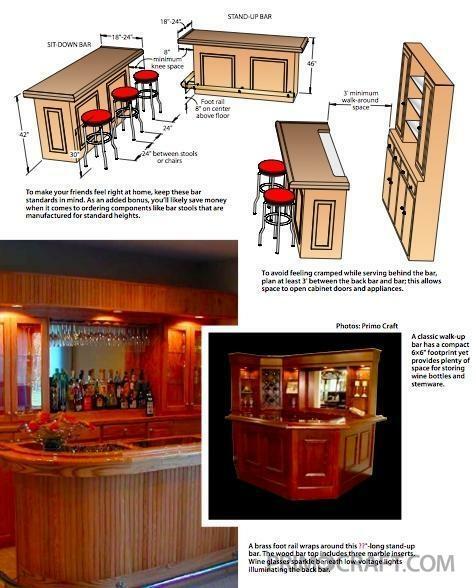 This little change has given the Ivy League a whole new style for modern wood home bars. 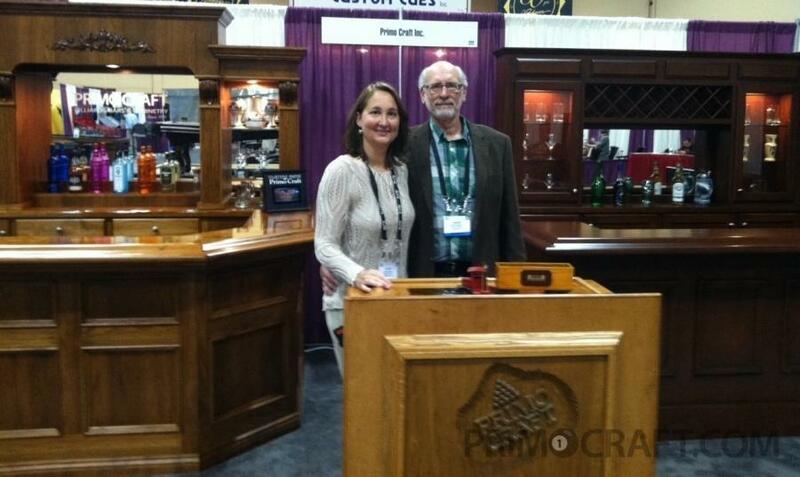 Chicago, Illinois – at the 2012 Billiard Congress of America Trade Show. Check out our article in the "Man Cave" magazine. Take your time planning your home bar—most guys do. You’ll have plenty of decisions to make along the way, but fortunately there’s not one correct order of planning. Cheers! 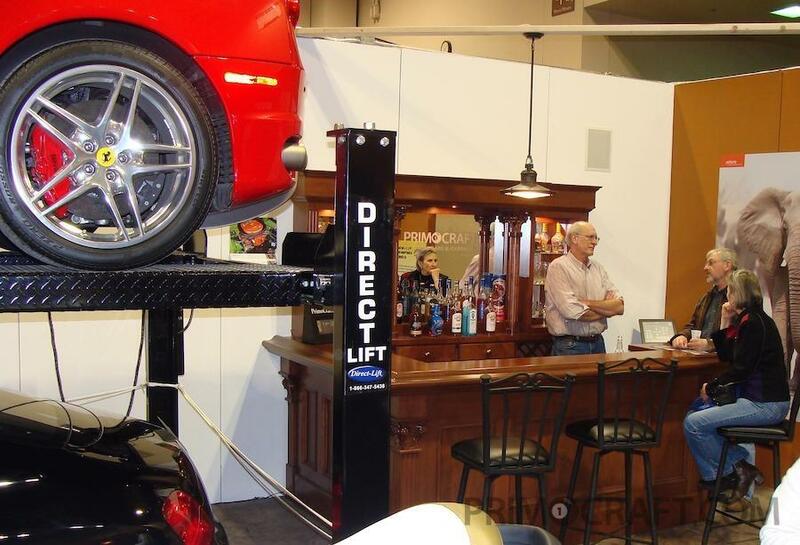 David Challman of Primo Craft built a custom bar for the Ultimate Garage booth at the Twin Cities Auto Show in Minnesota.